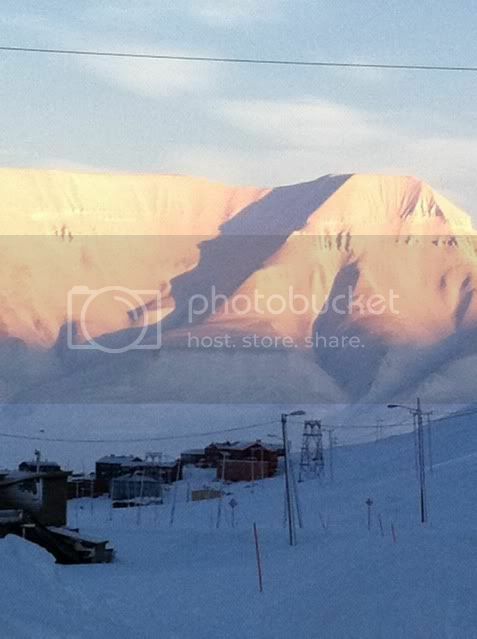 Longyearbyen. Easy to keep the beer cold. I’ve written about the northernmost outpost of Europe, Svalbard, before. A few restaurants and pubs, even the odd bottle of BrewDog and Nøgne Ø beers. Due to a separate tax regime. the beers are cheaper than in mainland Norway, despite hight shipping costs. We are talking about a flight time of an hour and a half from Tromsø, and shipping is only possible during the summer season. The special legislation for Svalbard does not only means no alcohol duty, it also states that the production of alcohol is forbidden. After dragging their feet for quite some time, the Ministry of Health sent out a draft of a new set of health regulations for the territory last year. This proposal means that the ban on alcohol production will be replaced with a systems with licences. There is one enthusiast in Longyearbyen, the largest town in Svalbard, who has been applying for a permit to start a micro brewery for quite some time. I guess he will have to wait until the new laws have passed the Parliament, maybe some time next year. In the meantime, others have beat him to it. The major Russian settlement on the island, Barentsburg, has a population of 400, and I think they to a large extent rely on day trippers from Longyearbyen. With the help of a Belgian manufacturer, they have established a brewery with a capacity of 500 liters per day (which should be enough). To comply with current legislation, they have apparently started up with a 2.5% ABV beer, but will brew stronger beers when they are allowed to. I believe the brewery, along with everything else in Barentsburg, is run by a company owned by the Russian government. As Longyearbyen is slightly to the north of Barentsburg, the Russian brewery will be the world’s northernmost for only a year or so. The Barentsburg brewery is selling beer only on the premises, but I belive the Longyearbyen brewery will also export to the mainland.